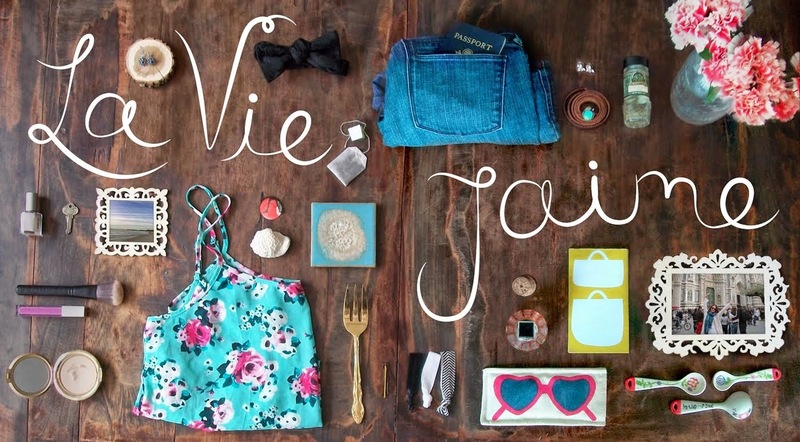 La vie Jaime : Happy Blog Birthday & Giveaways! Happy Blog Birthday & Giveaways! Today is the 1 year anniversary of La vie...J'aime! What started out as something for me to do during potential unemployment, as grown into a fun hobby and so much more... from knowing nothing about the blogosphere to now having my very own domain name; to having just a handful of readers (thanks friends and family!) to having nearly 250 followers; from anonymity to being on StyleBoston- it's been quite the year! To celebrate and thank you all for reading, I have 2 giveaways this week- 1 to celebrate the year that has passed and 1 to celebrate the year to come! The first giveaway is a $40 gift certificate to CSN Stores! Whether you'll spend it towards a bathroom vanity, a Dwell Studio Duvet, or a portable charcoal grill for summer tailgating, CSN has it all! The second giveaway is a beautiful print from the talented Laura Trevey! You can win this Happiness watercolor, one of my faves of hers. 1. Be a follower La vie...J'aime (on the sidebar) and let me know you are. 2. Comment with your fave item from Laura's etsy shop or from CSNStores.com or both if you'd like! 1. Follow me on Twitter and comment w/ your Twitter name (or let me know if you already do!). 2. Tweet about the giveaway "Enter to win the first blog birthday giveaway @laviejaime feat @lauratrevey & @csnstores http://ow.ly/1TlKT ". 3. Be a follower of Laura's blog Bright, Bold, & Beautiful, and come back and comment that you are. Winner will be randomly drawn next Thursday. Good luck!! congratulations to you Jaime! so happy your blog has turned 1. Look forward to many more blog birthdays. Congratulations for a fabulous year!!! and cheers for a even better year to come!!! great way to celebrate that watercolor from BBB is my fav!!! Stop by later today that I am having another giveaway!!! Oh so cute!! Count me in please! I love all the glasses in CSN stores. They are so beautiful!! I'm a follower of you! Happy Blog Birthday!! I'm a follower of Laura's blog!! Her work is so bright & beautiful! I'm a follower. I love the Racheal Ray cookware!! Happy 1 Year!!! I am a follower. My favorite item in Laura's shop is the watercolor of the beach chairs! I love to watercolor and this is such a beautiful print. I'm follower over at BBB now! Thanks for the intro. Love finding new folks. I follow Laura's blog! What a great blog! Wait why did my first comment not show up? Happy blogoversary! I'm after that crab watercolor and a duvet cover for my newly painted bedroom! Aww yay, happy one year blog-a-versary! I love how we stumbled upon each other and I love reading your blog and adoring your outfits! These giveaways are awesome :) Since I'm in a real summer-outdoor mood, from CNS I'd love to get any of the solar lanterns they have! Congrats Honey! Happy blog anniversary, darling! And my favorite Laura Trevey print is the Turquoise Dress Watercolor. And I just requested to follow you on Twitter! Wow, I can't believe you have only had your blog for a year! You have done so well with it, with almost 250 Followers! I've had my blog for a year and a half and only have 32 Followers! Happy Blog Birthday! I follow you on Twitter. I am a follower of your blog! I think the Hydrangea paintings of Laura's are so pretty. i am now a follower of Lauras blog for sure now :) thanks for introducing us!! you are so funny. moving stinks! happy blog birthday! you and carlee have the same blog birthday:) I can't believe you guys have only been writing for a year! seems life forever. Happy Anniversary sweetie, wow one year!! well done!!! And thanks for these gorgeous giveaways, I dont think I can enter the CSN one as Im not in the US BUT I absolutely adore Laura an her work!! oh la la. congrats on the 1 year. thats fantastic!!!! so inspired by your blogging skills. either gift would be amazing, the BBB watercolor is gorgeous. i have always loved it. csn is rocking it lately. there is so much i would love to win! Happy Blogversary! You know I'm a follower & love the Happiness print. Happy 1 year Blogging birthday! Happy Blog Birthday Jaime!! So exciting and great giveaways. I love the Brand New Day piece from Laura's Etsy Shop, she uses such vibrant colors I love them. I couldn't pick just one thing from CSN though because I love sooooo many things, mostly the kitchen stuff! I follow your blog. I love the Fisher-Price Loving Family Grand Dollhouse. Happy Blog Birthday, Jaime! Great giveaways! All of her prints are beautiful, but the Love Birds is my favorite! It's so sweet and peaceful. I'm a follower. congrats on one year!! That is so awesome! keep up the hard work!! Ahhhh! Congrats on your one year! Your blog is AWESOME!!! happy one year of fabulous blogging!!! Happy Blog birthday!!! Of course I'm a follower! There are some super cute doggy items on CSN that I would love. Coco totally needs a new bed!! Congrats on the blogoversery! I love the watercolors from Laura, oh my gosh. I love the Chic in Pink and turquoise dress print and the Hydrangea print too. Gorgeous! Congrats on a year!! 1) I follow you a doi! and I LOVE on the etsy site the "Belle of the Ball" so pretty. My favorite item is the Caribbean Time Watercolor Print from Laura's shop. YAYYYYYYYY - Happy 1 year lovey!!!! Happy Blogiversary! I love Laura's hydrangea prints - so pretty. I'd love the CSN store $$ to put towards a sunburst mirror. Wow, one year and over 250 followers? You go girl! I was following through google reader, but I just signed up on your page now too. 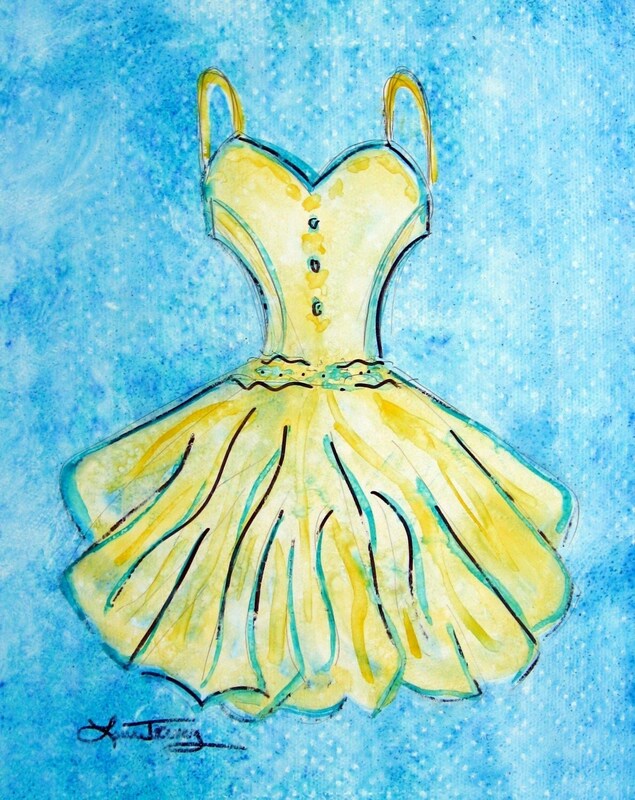 I love BBB watercolors and this one in the giveaway would be so adorbs in my daughters bedroom! My other fave of hers is the blue crab! Love your blog Jaime! Happy Blogiversary! Happy Anniversary, mine is coming up in a coupla weeks! I follow on GFC and my fav item from CSN is the cats eye cat bed! Congratulations on your Blog-Birthday! I follow your blog via GFC. My fave item from CSN right now - Franco Sarto Caverna in Brown. And I LOVE The Caribbean Time water color in Laura's Etsy Shop. Happy blog birthday my dear! I'm already a follower, I love your blog!! My favorite print is "I'm on Island..." It is surreal, so beautiful! Great giveaway! Happy blogoversary. I'm a follower; my favorite Laura Trevey print is "Lovebirds," which is adorable! I'm particularly into birds right now, not sure why. And... of my gosh, I can't even figure out what I like best at CSN. It'd take awhile! And I just started following you on Twitter, too. My handle is @heysuburban. I am now a follower and I have taken your button. I really like this mirror! And I'm following your blog! Happy birthday! I am loving the Greek Sunset picture! I am a follower.